1. Our peer presenter-led sessions give you strategies tested by other schools and educators in China. You don't know how different it is to work on the mainland until you're here. 2. Our keynote speakers are connected to China and balance expertise and vision with proximity to the classroom. 3. Our attendees consistently give us a "highly recommended" rating. 4. There are clear strands, including a collaboration with ACAMIS Robotics, oriented to content and skills which allow attendees to match the sessions to their own interests. 5. For 2019 we've added new facilitated discussion sessions for tech coaches, and for tech directors and coordinators, because we recognize that some of the best learning you can receive is from peers in your field who understand your work best. 6. $325 for early bird registration? We're like the Xiaomi phones of the edtech conference world: innovative, and with the same features at half the price. 7. We're home to the only live show of the Concordia Ed Tech Podcast. 8. We're a community for international school teachers in China - from north to south and east to west. 9. Our optional social activities let you network with peers and experience the host city like a local - or like a tourist. 10. Our late October date means you still have plenty of time in the school year left to apply what you learn. on a rolling basis until May 3, 2019. Presenting is a wonderful way to share what works (and what doesn't), connect with the ACAMIS community, and build your resume - and presenters get discounted conference registration! Liz (Elizabeth) Cho is the Principal of Teaching and Learning at Korea International School. An English teacher by training, Liz taught in Northern Virginia before jumping into the world of international teaching at Shekou International School. Since 2016, Liz has been a school leader for curriculum and professional development. 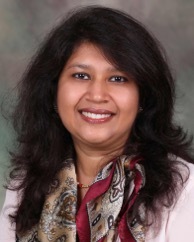 She received her second Master's, in Educational Policy and Leadership, in 2018. Liz is also certified in Educational Technology and Information Literacy and is an ISTE Trainer and an Apple Distinguished Educator. Her seven years in China give her a firsthand perspective on the unique context of international teachers on the mainland, and her message about developing professional capacity and empowering teachers is relevant to educators no matter where they are. More details on Liz can be found at lizcho.org, and you can follow her on twitter @cho_liz. Concordia International School Shanghai is a co-educational day school for students aged 3 to 18, located in the heart of Jinqiao—one of Shanghai’s largest international communities. Concordia is recognized for its dedication to academic excellence and for providing well-developed sports, arts, service and cultural learning programs. Our caring, passionate and award-winning faculty deliver a comprehensive American curriculum and pioneer programs that guide students toward life success, no matter how they define it. Concordia is fully accredited by the Western Association of Schools and Colleges (WASC) since 2000 and the National Lutheran School Accreditation Commission (NLSA) since 2015. Our approach to education centers around holism and providing authentic learning opportunities for our students. At Concordia, it’s not just about grades. It’s about balance. When we say we educate the whole child we mean that we invest in and tend to every part of each student: spiritually, physically, emotionally, socially and intellectually. In doing so, we seek to provide students relevant, authentic experiences in which they can pursue areas of passion and explore new interests. Through applied learning courses and activities throughout the grade levels, students are applying critical thinking skills, creative problem solving, and knowledge integration across disciplines. Applied learning is found in virtually all areas of the curriculum, from science to the visual arts. By partnering with engaged parents to help students find their own unique balance, we cultivate the best outcomes for each student. It is the community at Concordia that creates the ideal foundation for the entire family’s success. Matt Kelsey is the Director of Educational Technology at Nansha College Preparatory Academy in Guangzhou. A third culture kid from a family of International School teachers, he has worked at international schools in Kuwait, Mali and China since 2010. Tom is Director of Technology at Concordia International School Shanghai where he has worked with educators and learners for 10 years. Tom’s background is in engineering and Information Technology and his focus lies in using technology to support experiential learning in a web of close relationships. 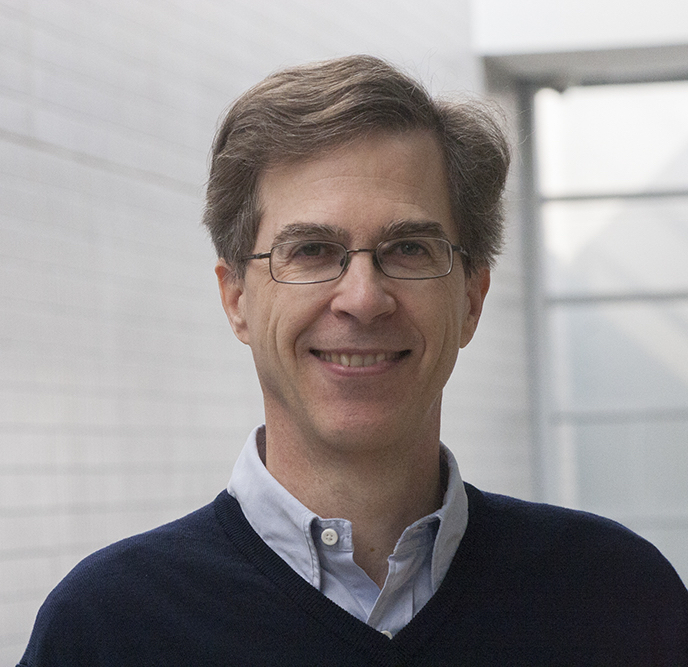 Tom has worked extensively to provide the most appropriate technologies for teaching & learning at Concordia. He has a special interest in building Maker Space resources. Karl Suits is the Director of Technology at Hangzhou International School and a member of the planning committee for ACAMIS Technology conferences. He enjoys working with databases, sound design, video art, and programming. Prior to his over a decade of teaching across 4 continents, Karl worked in IT as a CISCO engineer at the NOC in Washington D.C. where all of the internet in the world was housed. He has a background in curriculum design including Project Based Learning and PYP. Currently he is a systems designer and IT manager. Mel Varga is the Technology Integration Coordinator at the International School of Macao (TIS). This role has him working directly with teachers to find ways to incorporate technology with their pedagogy. Specific areas of interest include Learning Spaces, G Suite, Google Expeditions, STEM & Gibbon EDU. He is also the Chair of the ACAMIS Technology Planning Committee. 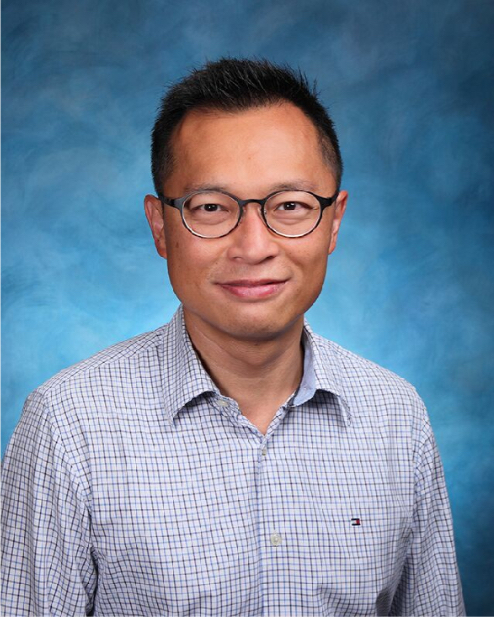 Alex Ching is Head of Technology in Victoria Shanghai Academy in Hong Kong. He guides teachers in DP, MYP and other aspects from the technology department, different technology projects and activities in school. He is the coordinator of STEM development in school; he develops co-curricular activities relating to Design Thinking, Design Technology and STEAM. He is also the member of the ACAMIS Technology Planning Committee. Profile will be available soon. Amita Patel is the Technology Director at YCIS Shanghai Pudong and is a member of the planning committee for ACAMIS Technology Conference. Being a technology teachers since the late 90s, she has a passion to engage educators to creatively integrate technology in education. Combining tactile, hands on and collaborative mediums she strives to give students the opportunity to use technology to enhance learning. Craig is a New Zealand born educator with over 13 years experience both in the classroom and in leadership. He is an enthusiastic, 21st-century change agent that is passionate about every aspect of education and making a difference. Craig is based in Singapore and is Head of Educational Technology (N-12) at Stamford American International School. 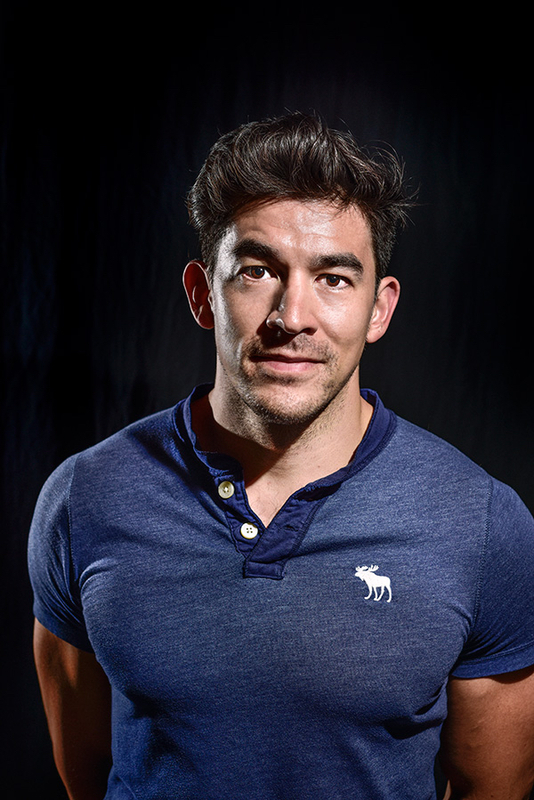 Craig is well known for his dedication to education through Social Media, with over 33,000 followers on Twitter. He is a professional development speaker whose workshops, seminars, and keynotes not only motivate and inspire educators but also help them develop practical and creative ways of implementing ideas into classroom practice. 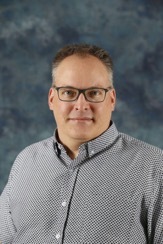 Craig specializes in global connections, creating enjoyable and engaging learning experiences for students, social media in education, educational technology, inspiring and motivating staff, integrating technology and innovation in education. In this keynote, Craig will share stories about the current landscape of global education and the need to support learning in the Digital Age. Craig will explore how to change mindsets and empower learning through the effective and purposeful integration of technology, using case studies from his experiences. In a world of constant change, the ability of educators to connect their students to the world through engaging experiences will ultimately empower the learning journey they experience at school. Come along and be prepared to engage, learn and challenge your way of thinking. I am a confident, organized, passionate, professional and driven person who wants to make a difference and make my son proud of his father. Teaching offers the opportunity for me to do exactly that, to help young, aspiring and inquiring minds to become better learners and more rounded individuals, who contribute to society. I am continually striving to develop my pedagogical abilities, I find learning new philosophies and developing my teaching skills to be hugely stimulating and rewarding. I want to lead the development of forward thinking, knowledgeable, inspirational and innovative teachers by sharing those new methodologies with my peers. Teachers use technology to enhance the learning involvement and development of 21st century learning skills. Not only are we content teachers, we are also all technology teachers, incorporating technology-enhanced learning strategies within our classrooms. This session will offer four specific tools teachers can implement immediately into their classrooms to improve participation by all students. Note: Attendees should bring their individual PCs. Melinda Alford is a compassionate innovator and technological visionary focusing on mastering school-wide collaboration to better serve the global community. With over 15 years in international education, She has extensive whole school experience as a Director of Learning and Innovation, Head of Library, Teaching/Learning Coordinator and ICT Coordinator among many other roles. Prior to her whole-school roles, she was consistently recognized as a top classroom educator and bases her technological leadership on best practices currently used by teachers. She was recognized as an Apple Distinguished Educator in 2007 and has spent the last 11 years advising in many Asian countries. Melinda is additionally a curriculum designer working within both ICT and English curriculum. She is a lifetime advocate of service learning and serves on the council for a multi-million dollar charity. She has also led a whole school Mission, Vision and International Mindedness campaign. Lock and Load! This workshop will explore how to use breakout.edu to create your own locked room or escape room challenges. Teachers in this group will do a very short escape room challenge then learn how to design one themselves. This is workshop will help us use FlipGrid and FlipBoard for the classroom and professional development. Teachers will see examples of flipgrid and its many uses, they will set up an account and share a grid with others. Teachers in this class will use Flipboard to set up a personal magazine for professional growth. #3: What is Computational Thinking and how does it connect classroom teaching? Just your everyday overseas HS/MUN history teacher, athletic coach, world traveler, history buff, lifelong learner, climber, technology integrator, and obstacle course fanatic. I also enjoy trying new ethnic food. The nature of the classroom is changing. With the days of emphasizing the lecture gone, it is time find a way to prioritize your class structure and emphasize the most important parts of the learning experience during your teaching block, then the flipped classroom is for you. With it, you can maximize your differentiation and provide meaningful and timely feedback to your students. In this session, you will learn the who, what, where, why, and how of Flipped Classroom. I (Brian) have been a teacher for over 20 years and worked in the IT Industry for many years. Now a Technology Coach at TIS, Macau I am working with elementary teachers providing support with Google G Suit Applications and digital portfolio Seesaw as well as best practices using iPad and Chromebooks in the classroom. This year I am attending the ISTE 2018 Tech Conference in Chicago including attending Seesaw Connect. I have presented Seesaw at ACAMIS conferences in Macao and China as well as summits in Hong Kong and Shenzhen. I work with other teachers to present PD at TIS. You will discover how to use SeeSaw for formative assessment, summative assessment, recording student progress against your reporting criteria, and using Seesaw for Student Led Conferences. At TIS we also use Seesaw as evidence based reporting for our Senior Management Team. The workshop is “hands on” so you will leave with ideas that you can immediately implement in your classroom! Joining me will be PK teacher Annie Choi sharing how they using Seesaw into their classes for assessment. The session will be led by Brian Avery, TIS Tech Coach and a Seesaw Ambassador. This was a very popular session last autumn conference and I have updated the content with new ideas we have implemented this year at TIS with my colleague Annie Choi and the Kindergarten team. Note: Attendees should bring an iPad with Seesaw App downloaded. Jessica has been an IB educator since 2002. She has taught PYP, MYP and DP music in IB international schools in Thailand, Taiwan, China and the United Kingdom. Jessica gained her Master’s degree from the IOE, University of London where her research focused on IB curricula. Currently, Jessica is an MYP Music Teacher and Head of Arts in the Middle School at the Western Academy of Beijing, China. If you have ever wished to write songs to share with your class, school or just for yourself, but felt held back because you don’t know notation conventions and analytic techniques, then this might be for you. This technology will transcribe your music for you without any previous need of theory knowledge. Carrie Qian graduated from East China Normal University. She majored in international Chinese education and got a Bachelor Degree. Carrie has been in Yew Chung International School for 10 years and she is the CAL and Year leader. She loves teaching and being with students. She believes learning is like rowing upstream; not to advance is to drop back. Technology is changing the way we teach and learn at a rapid speed. Come to this workshop to discover how to make language learning more interactive and fun with technology. This app smashing workshop will introduce you to simple yet effect apps to engage your students starting Monday! Enhance visual literacy as part of the 21st century skills of secondary school students through creation of a virtual reality (VR) environment using http://stories360.org. The software has been created targeting K6 to K12 students allowing them to create a VR story. The story can be created collaboratively, and easily shared among peers. Sandra Chow is Director of Educational Technology at Keystone Academy, Beijing. Sandra has taught in multiple grades in Canada & Taiwan, and believes firmly in the power of collaboration for teachers and students. She loves sharing her experiences with other educators, and has done so around the world. She has won 2 National Technology awards, is a SMART Exemplary Educator, Apple Teacher, Google Certified Innovator and Trainer and part of the Geo EDU Advisory Board. She loves to hear and tell stories, and strives for authentic connections in daily life. Experience how technology is redefining students' ability to communicate, collaborate, represent and learn from one another in a one­-to-­one math classroom. Learn about tools that facilitate teachers’ ability to differentiate instruction and reach students of all levels. Math instruction will never be the same again! Be prepared to bring your laptops to do some math! Rob Cormack is the Director of Learning Innovation at Shekou International School. Rob enjoys all things learning especially seeing how technology can help students learn in deep, connected and personally meaningful ways. Video is a great way to showcase innovation in our schools but the act of creating the videos is a powerful learning experience for those that create them. In this session participants will learn some basic documentary skills to streamline the creation process. Note: Attendees will need to bring a smartphone for shooting video and a laptop with basic editing software i.e. iMovie. An iPad would work too. Ralph was born and raised in the Netherlands, where he received his BEd in History and a MA in Globalisation and Development Studies. He is presently teaching MYP I&S and Design at Xiamen International School, Xiamen, PRC. He is a Google Certified Trainer and has presented workshops on technology integration in Monterrey, Mexico and at the ASCD conference in Anaheim, U.S. Technology integration is his passion and thus he is constantly looking for new and innovative ways to assure that students demonstrate their learning in an engaging, creative and collaborative manner, preparing them for the future. Without a doubt, the biggest change in education in the last decennium is the massive implementation of technology. Recent studies, however, show that the use of technology does not necessarily make our students perform better. What does help students in the long-run is the constant use of formative assessments, including feedback, as an informative tool. In this workshop, we will discuss the theory behind formative assessment for learning as well as some cool online applications that make formative assessments more interesting, engaging and meaningful for the students, while aiding the teacher in obtaining valuable data to plan for future lessons. Note: Attendees need to bring BYOB (laptop or tablet). I am an MYP-DP Language Acquisition teacher of English and Spanish. I have been teaching in China for the last 12 years, and I have also been Head of Grade 6 for seven years. I am an edtech enthusiast, always looking for opportunities to use technology that can foster student agency and allow my students to engage more deeply with the curriculum. There are a myriad of apps and web 2.0 tools that allow us to redefine learning experiences and to connect our classroom to the world, giving our students an authentic audience and purpose. In this workshop, I open the doors of my Language Acquisition-Humanities classroom, and share with you various ways in which I have used technology to engage my students with other classes around the world in a meaningful, practical way. We will also explore other alternatives available that can help you flatten the walls of your classroom. Note: Attendees should bring a laptop and/or mobile devices where you can access the online tools. Nici has been living the dream collaborating and creating as an international educator & digital coach since 2007. She is an early years practitioner at heart and has worked in elementary education in the UK, British Virgin Islands, Singapore before moving to Beijing at the beginning of this academic year. Nici is a passionate and innovative classroom focused educator and Coach who believes that that empathy, trust and safety in our relationships is the key to nurturing empowered learners. In order to learn we all need to be happy! So what is Computational Thinking? Simply put it is a set of diverse problem solving skills that are traditionally associated with computing and programming. In this session we will look at mathematical language and thinking through a computing lens and explore how computational thinking and critical thinking can be applied through programming, play and problem solving in an active learning environment. Come along to explore, decompose, create and execute in this collaborative hands on session. Note: Attendees should bring an iPad to the session. I am from Highland, Illinois but I have been living abroad for the last five years. My international teaching career started in 2013 right after I received my B.S. degree in Biology Education. I took a job in Taichung, Taiwan at Ivy Collegiate Academy where I taught a variety of science from grades 7 through 12. After teaching in Taiwan for three years it was time to move to a new location to Guangzhou, China, where I currently teach Biology and AP Environmental Science at Nansha College Preparatory Academy. Game-Based Learning: Enhancing the Student Experience! Game-based learning software like Classcraft and Quizlet Live have transformed my high school science classroom from a traditional classroom to one that is filled with excitement, growth, collaboration, and inquiry-based learning. Teaching at a standards-based school, I’ve found a way to incorporate gamification with accountability, and hold my students to higher expectations along the way. Come join us on an amazing adventure and learn how game-based learning can enhance your students’ experience. Participants in this workshop will take part in the software through the eyes of a student to gain familiarity with how these programs work. Digital Literacy Coach at Concordia International School in Shanghai and has more than 20 years experience working with students, teachers, and technology. Dennis is a Google Certified Innovator, Discovery Education Guru, and has shared his passion for integrating technology into curriculum at numerous workshops and conferences. He sees his mission is not to teach technology, but to help teachers use technology and media as a tool to help students learn and show what they know. He has a passion for digital storytelling and believes that teaching is a spark that ignites curiosity and develops a lifelong love of learning. Help! I Need to Make a Video! Making a video is not as daunting a task as many make it out to be. To make awesome videos you don’t have to be an expert at Final Cut Pro. You can use tools you have available on your computer and iPad right now. Learn how to create videos using a variety of styles, techniques, and tools, and even combine tools and apps for some cool video effects. Make videos without venturing too far out of your comfort zone. You can even make videos without a video camera! I have been an international school teacher for the last 11 years and in this time I have always had an interest for using technology in the classroom. I publish my own website www.thegeographeronline.net, have a YouTube Channel and I am now currently supporting the integration of ICT in Harrow Beijing. I would like to explain how schools could initiate their own digital signage scheme, from the set up of the hardware and software to encouraging students and teachers to participate in keeping the content up to date and interesting. Mr. Johnston is an Apple Distinguished Educator, an entrepreneur and a solutions architect. Mr. Johnston launched his career in television, working for broadcasting networks like ABC. Later he helped non-profit organizations like Cable in the Classroom and Oxfam America to harness the power of the Web. He has produced educational material for large publishers such as Houghton Mifflin; universities such as Harvard, Tufts, MIT, Emerson College and University of Chicago, and helped schools to integrate technology, distance learning and on-line collaboration tools. Mr. Johnston enjoys engaging learners to utilize technology, media and data to communicate and collaborate effectively. If you have, or desire to create, student service learning opportunities around media or technology, then this session is for you. Learn about resources as we share ideas and success stories. Together we will find new ways for our students to collaborate around hackathons, design competitions, fly-ins, and student tech challenges. Examples are drawn from experiential opportunities provided by a student run service organization, Student Media Services (SMS). Keystone students partnered with ISB and WAB to produce live television programming for the 21st Century Learning Conference in Hong Kong. Born in Hong Kong, raised and educated in Canada. I graduated from the University of Manitoba majoring in Computer Science and soon after completed my Bachelor of Education. I have worked as an educator in Canada, UK and Hong Kong for the past 10 years. I have often taught in both Science and Technology Departments including AP Physics, AP Computer Science and am currently teaching MYP Design and Science at VSA. Introduction of computer science at both a beginner level and using swift playground to supplement and teach more abstract ideas. Rationale of why swift playground is so amazing in learning computer science. If no one else is running a workshop on Swift Playground I would love to show the world this amazing tool! Note: Attendees should bring an iPad running iOS 10 (or higher) with Swift Playground. What is a Micro:bit? How is it different from other circuit boards out there? In this session, I will be talking about how I used Micro:bit for formative and summative assessments in science. Given the powerful toolkit that comes with Micro:bit, students are able to make authentic connections in science through coding and designing inquiry-based projects. Athole is a creative elementary teacher with 15 years teaching experience. He is originally from Scotland and the Western Academy of Beijing is his first international teaching post. Once upon a time he was a cinema projectionist when all films were show on gigantic reels. He is passionate about the benefits of film education in the classroom. Athole has run Master’s film courses at Glasgow University, student teachers workshops at Edinburgh University and supplied teacher PD for the popular Literacy Shed website. He still cries when watching E.T., finds it impossible to do cartwheels and still absolutely hates celery. Steven Spielberg famously said that he dreamed for a living. How can we make links with traditional printed stories and film to inspire students to become narrators of their own stories? The session will be practical and interactive, focusing on storytelling and filmmaking techniques which help students find their storytelling voice. Using picture books, poetry, short films and iPad apps the workshop will firstly explore techniques for analysing short films and visual narratives. Secondly, it will develop hands-on techniques and apps for making engaging short films and animatics in the classroom with students of all ages. Note: Attendees should bring an iPad. Daniel is the Digital Literacy Coach and Marketing Communications Specialist at Concordia Shanghai. Previously, Daniel spent 7 years as a Technology Specialist in the Middle East developing the video broadcasting program at the American School of Dubai which has transformed his teaching philosophy on how best to engage student learning. DAM, I can't find my media! Schools are generating an enormous amounts of digital media that require a system for capturing, documenting, sharing and preserving this content for the future. We will discuss and overcome barriers to developing digital asset management (DAM) and workflows for schools as well as ways to successfully implement, retain and leverage assets for the institution. We realized that our blogging platform wasn’t meeting the needs of our Primary teachers and students so we explored options to better met our learning needs as well as align with our school’s beliefs around teaching and learning. Specifically, we wanted our students in Early childhood and Primary, to make learning visible by seamlessly document and share their learning across all curricular areas, as well as to give and receive timely teacher and peer feedback on their learning. We wanted our parent community to be able to celebrate their child’s learning in real time and not only during student led conferences. Seesaw has been very positive at our school, so much so that this academic year we have introduced it in our lower secondary (year 7 to 9) classes to develop a reflective attitude in our students. The outcomes of this session: participants will take a deep dive into our schools Seesaw learning journey and learn why we feel it is meeting the needs of our students, teachers, and parent community. Come experience student created VR projects in a live-presentation of Full-Room Scale Virtual Reality! This introductory workshop will be led by Paola Paulino – Chief Innovation Director of XR Pioneer Ltd. and President of the Global VR/AR Association (Shenzhen), Sarah Wenn - MYP Drama Teacher at the International School of Nanshan Shenzhen (China), and Jordan Fernweh - Immersive Edtech Specialist at the International School of Nanshan Shenzhen (China). Paola will show examples of how ISNS students are pioneering passion-based learning projects which have received recognition and praise among global VR industry leaders. Project examples include the world's first virtual reality story books. You will also hear from ISNS teachers Sarah Wenn and Jordan Fernweh from the XR Pioneer Partner Program about their experience implementing high-end VR tech in MYP Drama and other Full-Room Scale VR integrated Units as well as reflections on how immersive tech modified and redefined the learning experience. The level of prior knowledge is beginner. The hands-on Virtual Reality application examples will be a mixture of consumer ready and beta content that is in development. Paola started the Full-Room VR Pilot program at the International School of Nanshan Shenzhen the summer of 2016. Since then the program has flourished throughout ISNS MYP/DP subjects and Paola is extending the VR Pilot to more international schools in China. This introductory workshop will be led by Paola Paulino – Chief Innovation Director of XR Pioneer Ltd. and President of the Global VR/AR Association (Shenzhen). This workshop is an encore extension from last year’s ACAMIS TECH Demo Slam winning pitch, “How Students Pioneered the 360° Yearbook” by Paola Paulino! In this hands-on PD, you will gain an understanding of the broader VR/XR landscape, what it takes to create a 360°yearbook, learn best practices to filming with 360° cameras, and the ins and outs of telling your yearbook story in an immersive platform. The level of prior knowledge is beginner. Smart device is not required but is recommended for interactive engagement and testing of 360° yearbook. Paola started the Full-Room VR Pilot program at the International School of Nanshan Shenzhen the summer of 2016. Since then the program has flourished throughout ISNS MYP/DP subjects and Paola is extending the VR Pilot to more international schools in China. Note: Attendees should bring an iPad with the following apps installed: QR Scanner, Veer VR, Ricoh Theta Basic and the Ricoh Theta Editing apps. Also bring a macbook with the RICOH Theta Basic App for Mac installed. Carrie Qian graduated from East China Normal University. She majored in international Chinese education and got bachelor Degree. Carrie has been in Yew Chung international school for 10 years and she is the CAL and Year leader. She loves teaching and being with students. She believes learning is like rowing upstream；not to advance is to drop back. Karl Suits is the Technology Coordinator at Hangzhou International School and a member of the planning committee for ACAMIS Technology conferences. He enjoys working with databases, sound design, video art, and programming. Prior to his over a decade of teaching across 4 continents, Karl worked in IT as a CISCO engineer at the NOC in Washington D.C. where all of the internet in the world was housed. He has a background in curriculum design including Project Based Learning and PYP. Currently he is a systems architect and IT manager. In this session, participants will identify potential issues for IT Systems at their school, map out current IT Systems in place, and reflect on the process of change and implementation. Sphero robots can be programmed in three different ways. The first ways is Draw programming which allows users to draw lines to program the robot in different directions as well as change color and sound. This is perfect for K2-Year 1 students. The second way is Blocks programming which is similar to Scratch programming where block-based drag and drop interface is used. This mode also allows for a wide variety of actions and variables and is perfect for Year 2-6. The third way is Text Based Coding which is a more advanced method for grades 6-University where users can program with a text editor to write custom syntax. In this workshop we will focus on Draw and Block programming tools and how these have been integrated into our curriculum. We will also have a practice session where participants play with programming Spheros. I love all things tech and design and am a big fan of project-based learning. This is my 10th year at WAB, six of which were as an Edtech coach and producer of WABTV. Ever thought of trying to start up a school TV show, but didn't know where to start? Worried you don't have the budget to get going? As a producer of WABTV, WAB's very own elementary school TV show, I can share with you the ins and outs of how our grade 4 and 5 students have managed to publish over 120 episodes over the last 7 years. You'll take a tour of our Green Screen studio, watch some of our episodes and check out the gear we use. We'll look at some of the curriculum connections and the skills our students have developed along the way. Stephen is a HS Learning & Tech Coach and Science teacher. 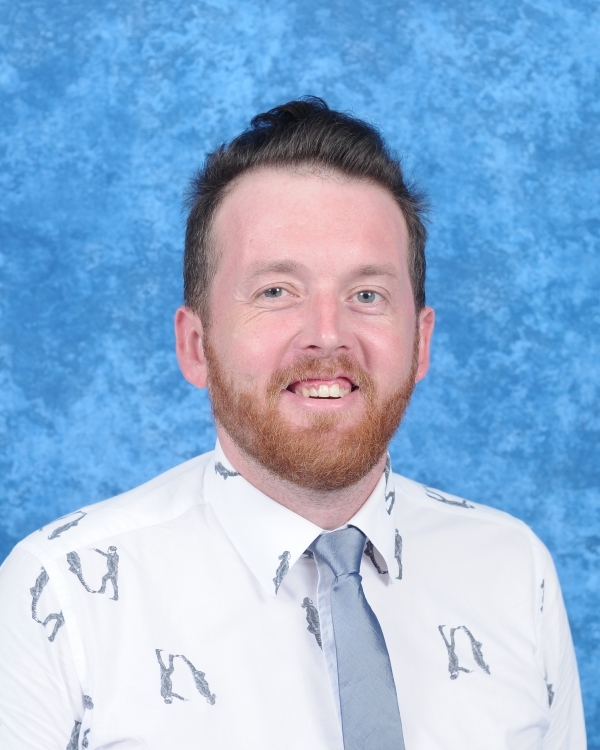 New to WAB after being Director of Learning & MYP Coordinator in Kobe, Japan, Stephen is excited about pragmatic, high-quality, globally-informed inquiry and how technology can amplify & transform learning and empower students. He is passionate about connection and helping to “make it easier to do better things”, through resources, visualisation and workflows. He writes about wayfinding & learning at sjtylr.net and IB science learning at i-Biology.net. He loves the power of the PLN and supports MYP educators through #MYPChat on Twitter, where he is @sjtylr. Time: become its master, not its slave. This session is dedicated to flow and productivity, so that we can maximise interactive time with our learners. From planning, research and assessment to grading practices and feedback, how can we make it easier to do the best things for high-impact inquiry? With examples of workflows, tech tools and non-tech strategies, we’ll try out ways to make the most our most limited resource. Note: Attendees should bring laptop and/or mobile devices. How globally-informed are you and your learners? How can we make use of accessible databases, tools and provocations to generate lines of inquiry that enhance global engagement? In this session we’ll use a range of tech and non-tech tools to evaluate global-mindedness, access real-world data and use them to inspire meaningful inquiry. Including Wolfram|Alpha, Gapminder, SDG Tracker, Making Thinking Visible and more, this active session will help you enhance the international dimension of your units. International school teacher in Taiwan, Singapore, and now Macau. Currently teaching Senior Kindergarten at the International School of Macao. I'm enthusiastic about finding ways to engage children with technology through authentic learning experiences. Learning to code at a young age develops critical thinking and communication skills. This helps children become innovative problem solvers who can transition into nearly any future profession. These days, there are some very interesting resources to use with young children to model, learn, and practice the skills of coding and programming. During this session we will look at some ways you can bring fun and interactive programming activities to your kindergarten or primary classroom with easy to create materials and tech resources you may already have right now. Progressing from whole body kinesthetic games, to programmable toys, to navigating within simple 2D and 3D environments, this interactive session will have you programmed in no time! Note: Attendees may bring ANY device to the session. I have been teaching Robotics, Electronics and Design classes for 14 years, 7 of which have been at the International School of Macao. Bring your ideas to life with SketchUp. This is an amazing program that is easy to learn and use with students in a wide range of applications. This short workshop will get you started drawing and designing and provide tips and tricks to make the process as easy and enjoyable as possible. As a mother of two and having been a Lower Years teacher for over 10 years, I have been changing my own ideas about technology to become more in tune with what is needed to best prepare our children for their future. As part of the Tech committee of YCIS, I am hoping to empower children (and teachers) by showing them the basics as a foundation to build on. I am challenging myself by including devices into everyday teaching and making technology part of the balanced learning. As an International teacher and family from South Africa, we know what big role technology plays as we have been living in Shanghai for the last 5 years. I am 4 and I can build a circuit. What is your super power? Inspired by a presentation of Squishy Circuits at a previous Tech Conference, this fundamental idea of technology has been further developed into an after school club for 4-5 year old students. By using materials such as play dough, children feel comfortable learning about an often overwhelming topic and embraces this opportunity to be introduced to new equipment. Feeling confident after learning the basic principles through fun, they are excited to explore and learn through their own creativity. Come and see how this program has been expanded and give your students a chance to understand technology from the starting point of all electronics. I am from New Brunswick, Canada, and have lived in China, off and on, for about 8 years, the majority of that time working in Communications in and around international schools. My experience spans the teaching side of education, to the management side, and outside education all together. I have managed Comms teams, run my own small business, and now teach in Dulwich College Beijing’s brand new SE21 design space, in addition to maintaining a small design and Ed Tech business with good friend on the side. Dulwich is in the process of redeveloping their technology offerings and curriculum to focus on preparing students for the wider world, and the changes are already resulting in exciting projects and products we are very proud of. Sketch notes are visual notes that are created from a mix of hand writing, drawing, typography, shapes and visual elements. It engages both sides of the brain which in turn Sketch helps creative students of all abilities improve knowledge retention. The workshop will cover some of basics, techniques you can use with your students and we will discuss how we can incorporate these tools into your classes, covering student voice, feedback and assessment. What is a Demo Slam? A Demo Slam is a mini-PD presentation in which you share an app, a learning tool, teaching tip/hack to the group in two minutes or less. Whatever you share must be easily accessed & replicated while keeping the China context in mind (i.e. non-Google). On Day 2 of the conference (Saturday, October 20) we will be hosting a Demo Slam and I am inviting you to sign up for this fast-paced, high-energy activity. After all of the "slams" have been presented the audience will vote for their favorite slam. The three individuals with the most votes will receive a prize. Send your submission to Mel Varga (Chair, ACAMIS Technology Conference Planning Committee) at mel.varga@tis.edu.mo. Put ACAMIS Tech Demo Slam as your subject line. *Subject to further changes. Please refer to Guidebook app as the latest version. Robotics Strand is now added to the Technology Conference! starting a robotics team, basic programming and robot design. F.I.R.S.T. (For Inspiration and Recognition in Science and Technology) is an organization that seeks to inspires children of all ages to get involved in STEM projects; to become innovators and leaders. This session will give an overview of the four programs of FIRST and VEX. Starting an ES/MS Team can seem daunting. The equipment and skills needed are often new to teachers and we aren't sure where to start. We will discuss how to overcome these barriers and will share practical strategies, tips and resources to get your students going with LEGO! Presentation: Programing 101 – How to take an EV3 Robot from parts to moving robot with Lego Mindstorms Programming. Participants will have the opportunity to obtain a copy of the Lego Mindstorms software (Mac or PC) and experiment with creating and programming an Lego EV3 or NXT robot. Question and Answer. Setting up the EV3 Robot brick and loading Lego Mindstorms Programing software. Programming Extension from the day before: Come play with some of our EV3 or NXT robots that are used in FIRST Lego League competition! Explore how to make the robot move and complete tasks. Experienced FLL coaches will be present to support you to learn basic programming or build on programming knowledge learned the previous day, like how to program for sensors. No prior robotics, programming, or FLL experience is necessary to come and have fun! Getting started with a FTC (FIRST Tech Challenge) robot can seem a bit daunting. There are pages of rules describing legal parts and multiple programming options. It doesn’t have to be too complicated. This session will show how a competition-legal basic robot can be built from relatively cheap components, and programmed to do basic tasks. A good place for any prospective teams to start their journey into FTC would be with this basic pushbot. The basic design will include two drive motors and two servos. This simple robot can then serve as a test base for debugging components of other, more complicated, machines. FLL competition teams have to present their robot design and programing process to a judge during an FLL competition. We will present and discuss the Judging Rubric and how to support a FLL team during the run up to a competition. The Engineering Notebook will be presented as a "good" vehicle to support a team's decision making and developmental pathway. What does a FLL team need to do, to be ready to compete at a tournament? This session will unpack and discuss the 3 competition rubrics of the PROJECT interview, ROBOT DESIGN interview, and CORE VALUES activity and interview. Team Booth and spirit activies will also be discussed. Learn valuable tips and strategies on how to encourage your team to prepare for a fun, learning, winning season! The Robot Game will not be discussed in this session. Western Academy of Beijing is a leading, non-profit, independent IB World School located in the Chinese capital. Founded in 1994, WAB prides itself on innovative and highly qualified teachers, world-class facilities, diverse community, and service-oriented culture. Students are the focus of WAB's learner-centered atmosphere and are encouraged to take their place as responsible citizens of the world. Transportation will be provided only to the following hotel(s) and the host school during the workshop or conference days. You can book other hotels but you (and/or your colleagues) will need to make your own way to the host school. Note: Hotel seasons may be busy in October. We do not guarantee hotel rooms are available. Use booking code "Western Academy of Beijing" when making reservation. All room rates are inclusive of single daily breakfast; additional breakfast is priced at RMB100net per person. Address: 10# East 3rd ring road ChaoYang District BeiJIng China. ACAMIS Technology Conference is the only major technology conference in China that involves international schools. Our 75 member international schools comprise over 8,000 teaching staff, serving some 64,000 students from various nationalities. The Technology Conference provides opportunities for professional development for teachers around the use of technology in student learning and teaching in international schools, both in and out of the classroom. These teachers are influential in the purchase of systems, equipment and supplies related to technology in their international schools. The conference design is to provide professional development which is “for teachers by teachers”. Usually 8-10 Technology related sponsors attend. We will actively limit sponsorship to a maximum of 10 sponsors to help maximize your exposure. A sponsor presentation opportunity will also be offered. Broad range including classroom teachers, technology coaches and technology leaders/ administrators/support staff in International Schools. We hope that 100+ people will attend. So that you have opportunity to engage with conference delegates directly, 30 minutes of the conference will be devoted to scheduled sponsor presentations (with the date/time advised in the conference lead up). It is optional for sponsors to make a presentation. A number of concurrent sponsor presentations will be run (e.g. four running at the same time from 13:00 – 13:30 pm) and delegates will attend the sponsor presentation of their choice. The mobile event app Guidebook will show all conference information, sponsor details, etc. right on everyone’s mobile devices. It’s a great opportunity for sponsors to gain extra exposure when delegates can instantly explore more about your company with just a few taps. Registration Gift Sponsorship – provide badged registration gift for all conference participants (no fee). We would appreciate any generous donations of registration gifts. Sorry sponsorship registration is now closed.